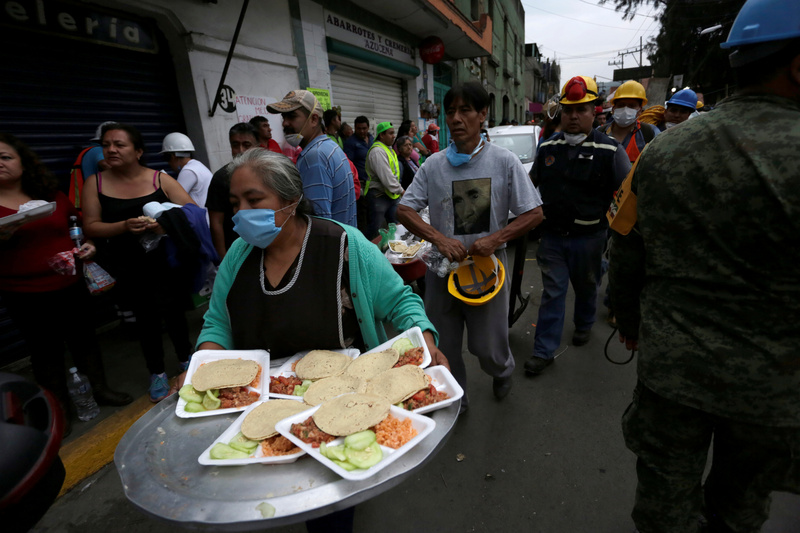 Rescuers continued working day and night Thursday to find any survivors of an earthquake that jolted central Mexico on Tuesday afternoon. 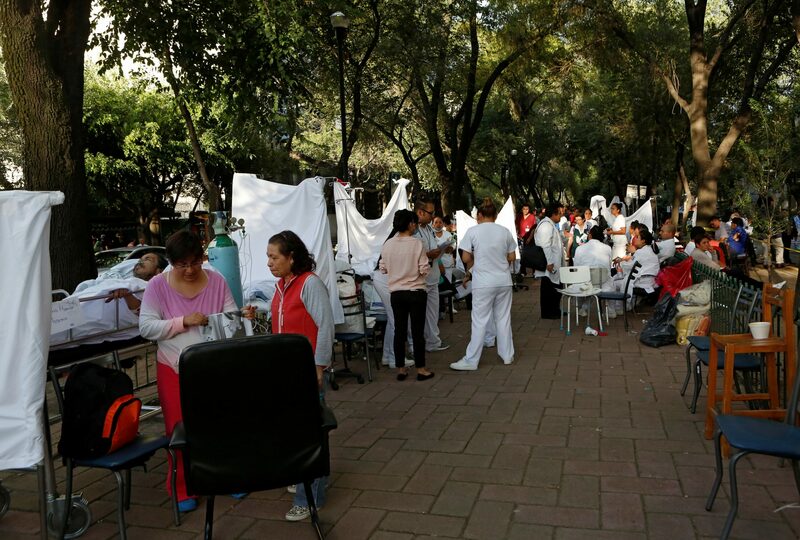 The temblor struck on the anniversary of the 1985 quake in the same general area, which killed an estimated 5,000 people, and 12 days after an 8.1-magnitude quake hit southern Mexico. 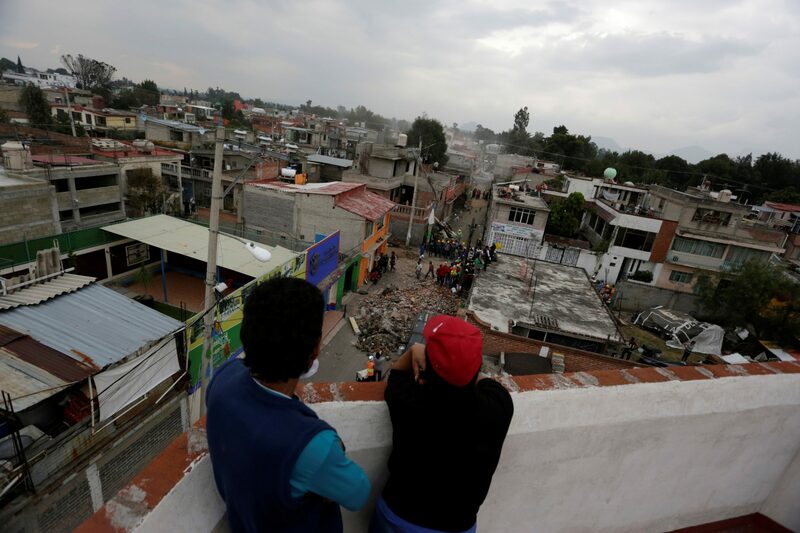 Tuesday’s 7.1-magnitude earthquake leveled buildings in Mexico City and surrounding areas, including an elementary and secondary school. 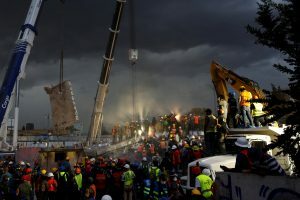 Moments of silence punctuated the site — signaled by raised fists — to help workers hear any sounds coming from survivors within the rubble. 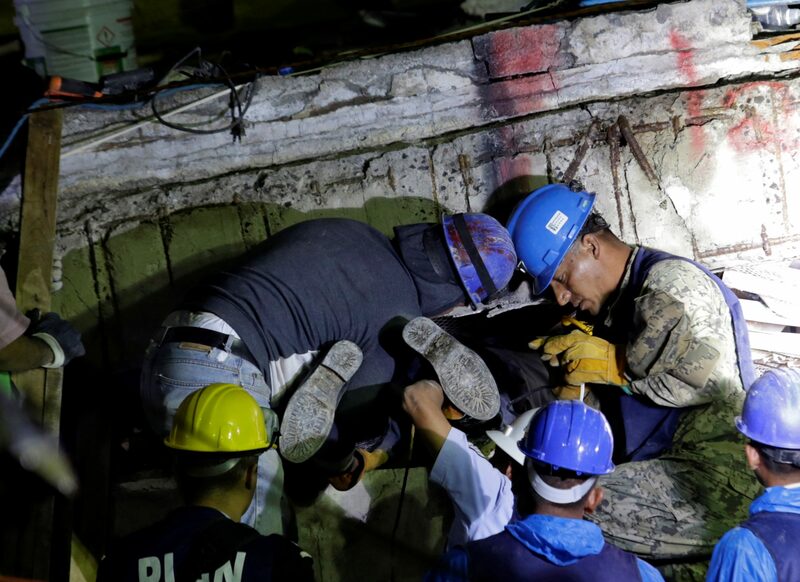 Updated at 4 p.m. EDT: A Mexican official said Thursday afternoon that all students were accounted for at a collapsed school, where rescuers had been searching for a missing girl, reported the Associated Press. 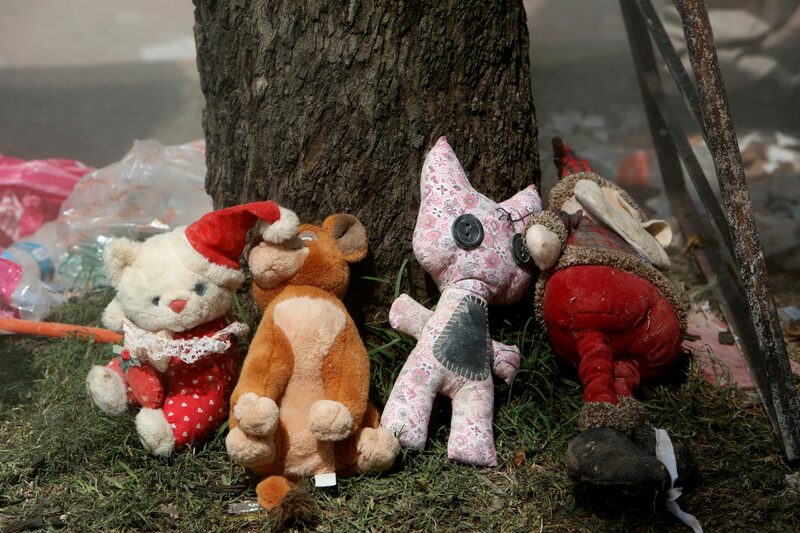 The official said an adult might still be buried in the debris. 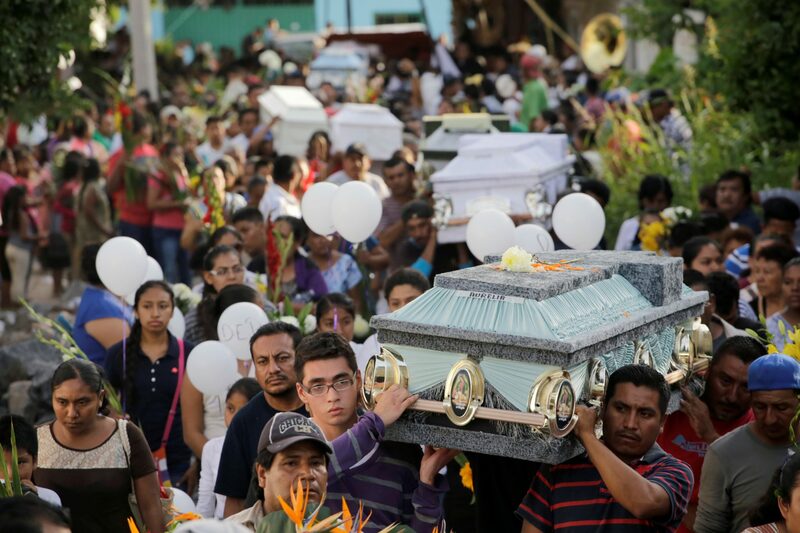 Twenty-six bodies were removed from the school on Tuesday, according to the Education Department. 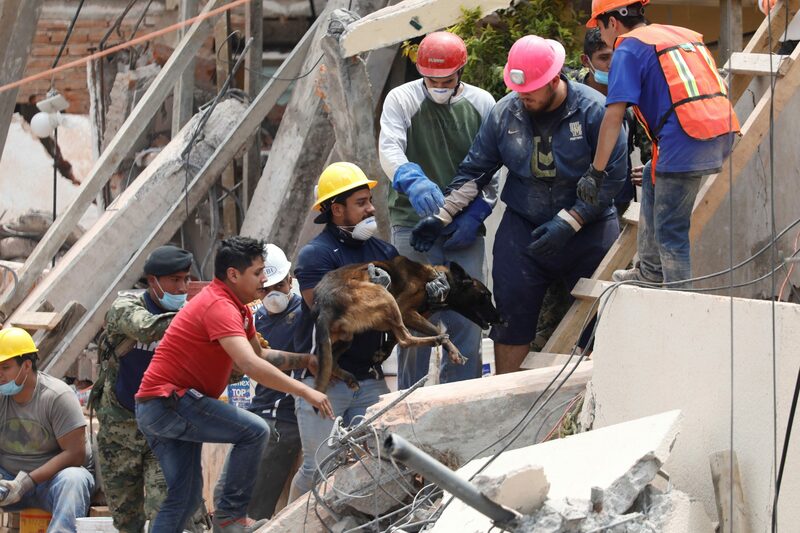 In all, authorities confirmed that at least 245 people had died from the quake and more than 2,000 injuries. 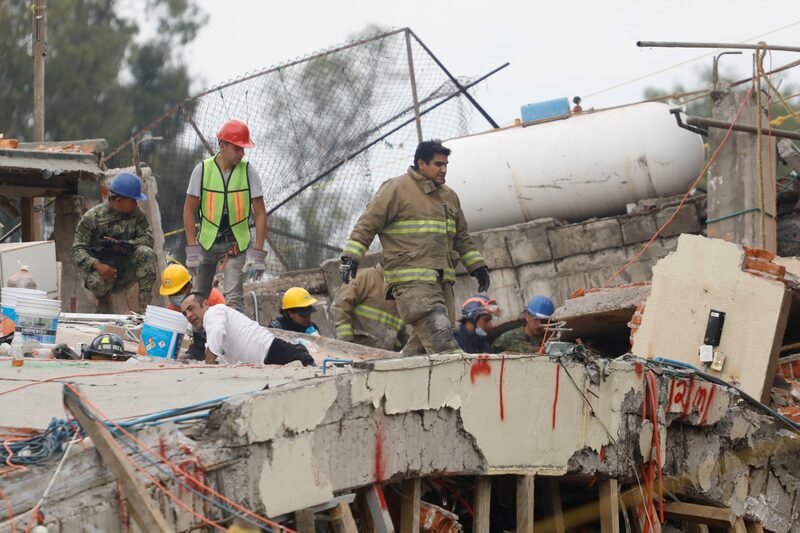 According to the Associated Press, 52 people were pulled alive from crumpled buildings. 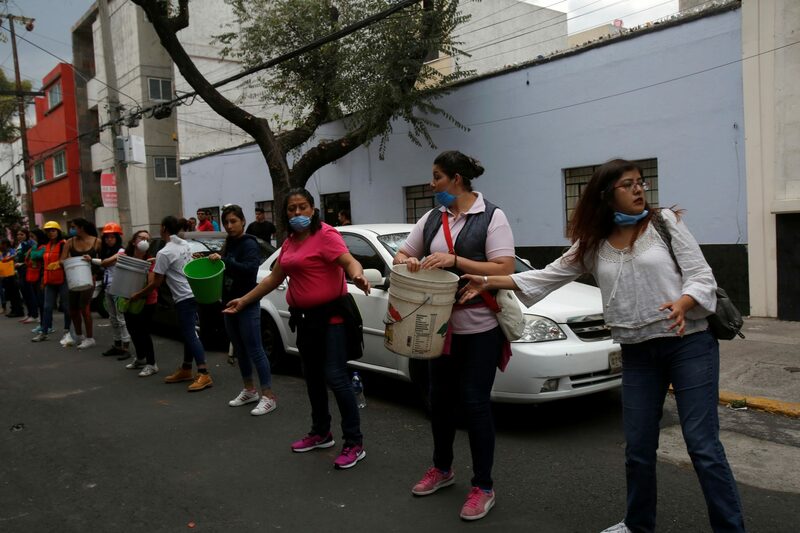 Volunteers formed lines to carry buckets of debris away from damaged sites. 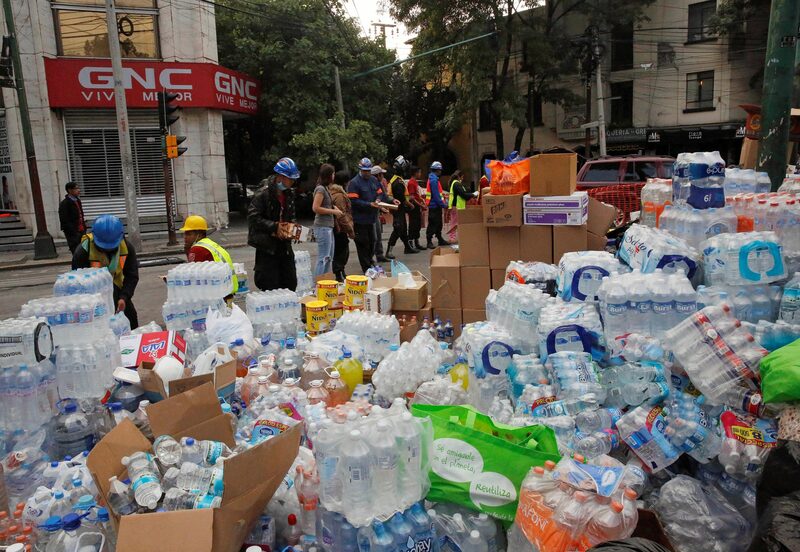 Other helpers distributed bottles of water to work areas and neighbors cooked food for the rescuers. 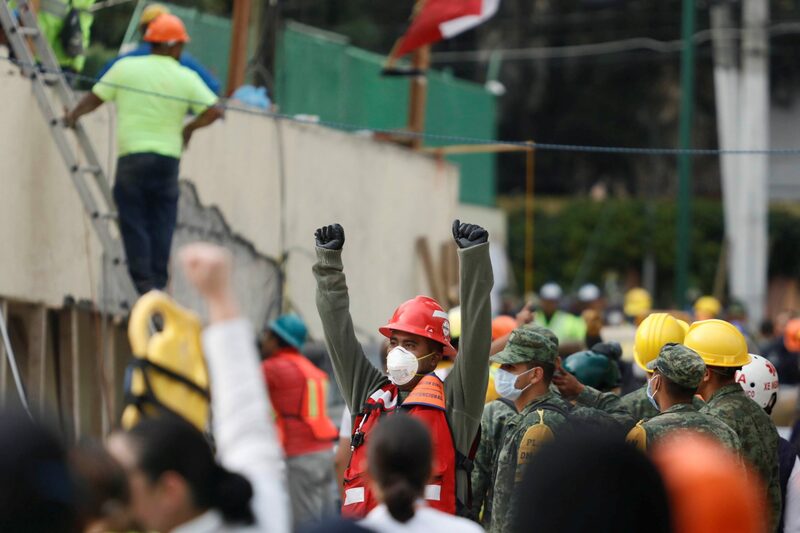 A local volunteer rescue brigade called Topos Mexico, which formed after the 1985 earthquake, burrowed under concrete slabs and twisted rebar to try to reach survivors. 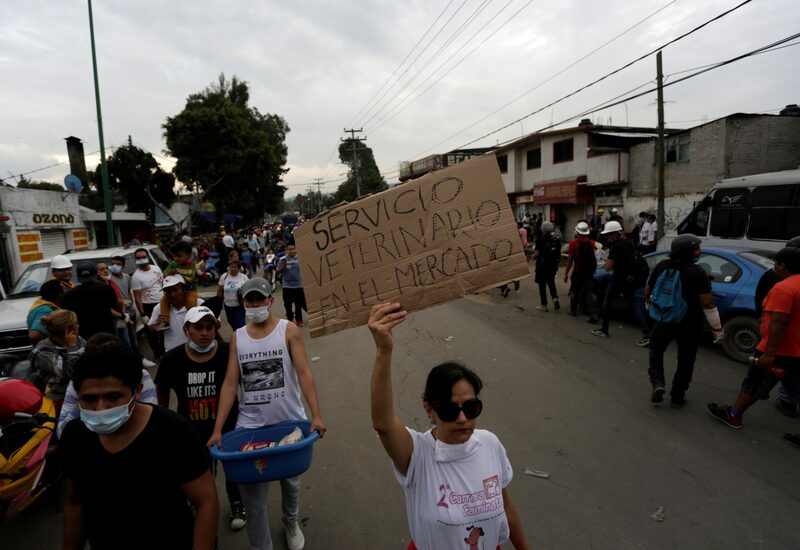 Mexican President Enrique Pena Nieto, meanwhile, has declared three days of mourning. President Donald Trump spoke with him on the phone Wednesday to express his condolences, according to the White House.